Aside from a good number of reviews about the best garbage disposals (and a few not so good ones), I have decided to add some information pages for you as well. I have come across many people who have had the problems I’m about to deal with below. Unfortunately, lots of us just give up on our disposers when we come across certain problems that could be sorted out in no time at all. So hopefully the information I’ve put together here will help if you have a problem. This is one of the most common problems people have. All sorts of things can cause a clog in your garbage disposal. Perhaps someone (who would prefer to remain nameless..) has dropped something in there that’s causing the problem? It could also be that your unit is simply overloaded. The first thing a lot of people do is reach for the phone to call a plumber. However, if you follow a few simple safety steps, you could easily save yourself some money. Just take a look at the following video, and you could have your disposer working perfectly again in 7 easy steps! This is one of the biggest problems I’ve come across. 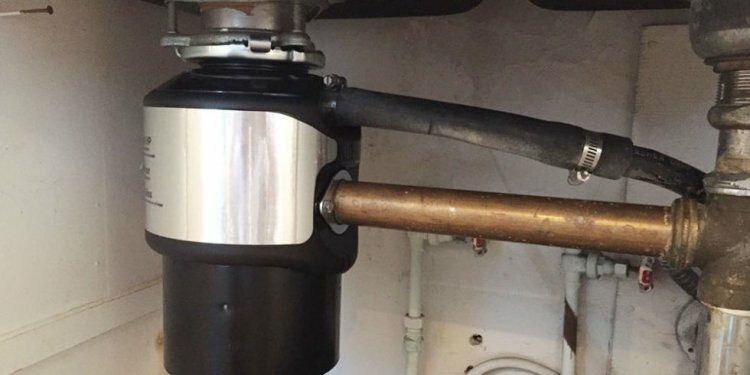 When you start to notice a leak underneath your sink, it’s very easy to blame the quality of your garbage disposal. As you browse through the reviews on our website, you will probably notice I rarely mention a problem with leaking (if at all). This is because for the most part, the problem isn’t your unit but they way it has either been installed, or you could have a problem with the pipes it’s connected to. I could explain how you go about sorting this type of problem out, but it’s much easier for you to follow a video which can be paused as you go through each step. Of course, if you still have a problem after following the instructions in the video above, it’s probably time you called a plumber in. It could be the plug has come away from the socket under the sink, so check that first. If the power in your kitchen has gone off, check the circuit breaker. Many garbage disposers have reset buttons which are there for your safety, and to help stop your disposer from becoming damaged. Try pressing that to see if it solves the problem. You might have an object down your disposer that’s caused the power to trip. Of course, I’m just outlining what might be causing the problem. If you want to find out how to fix it, take a look at the following video.